Luther “Luke” A. Fox, Jr.
Luther “Luke” A. 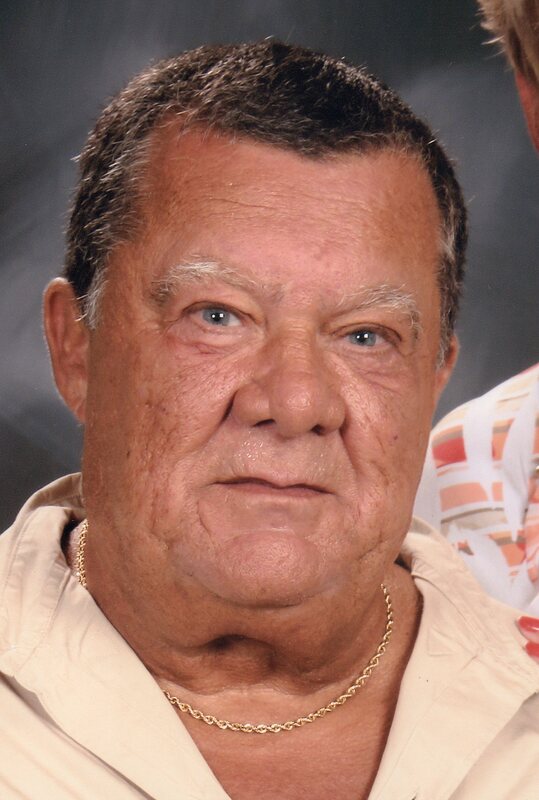 Fox, Jr., 71, of Fremont, OH passed away with his family by his side on Monday, September 4, 2017. He was born March 23, 1946 in Fremont, the son of Luther A. and Estella (Pressler) Fox, Sr.
Luke served in the Ohio Army National Guard. He owned and operated Fox Painting & Papering for fifty-three years and was co-owner of Shellukes Bar in Fremont. He enjoyed working on cars, traveling and spending time with family and friends. He loved the sun, wintering in Florida and was a University of Michigan fan. Luke is survived by his wife of forty-seven years, Judy L. (Hoffman) Fox, Fremont, OH; sons, Craig (Stephanie) Fox, Belton, SC and Jeffery (Melissa) Fox, Fremont, OH; siblings, Marietta Yeager, Fremont, OH, Janet Kieffer, Kansas City, MO, Marjorie Walters, Fremont, OH, Charles Fox, Leigh Acres, FL and Tina Holland, Fremont, OH; grandchildren, Jordan, Brittany, Alexa, Jayden, Jacob, Olivia, Jenna, Bryson and Rylann Fox; great granddaughter, Sofia Fox. He was preceded in death by his father, Luther Fox, Sr.; mother and step father, Estella and Walter Binkley and sister, Amy Bliss. Visitation: Friday, September 8, 2017, from 2 – 7 pm at Wonderly Horvath Hanes Funeral Home and Crematory, 425 E. State St, Fremont, OH. Services will follow at 7:00 pm at the funeral home. Memorials can be made to the Fremont V.F.W. Post #2947 or to the American Cancer Society. Offer Condolences for the family of Luther “Luke” A. Fox, Jr. So sorry for your loss, Judy, Craig, Jeff and your families. He was truly a man with a big heart and over the top personality. I know it was always fun when he came in the bar! Then sometimes it was oh my what is he going to do today. Always in good spirits and with the best intentions to make people laugh and get the sticks out of their asses!! He will be missed. To the whole family, prayers for peace and comfort. May God’s love and blessings keep everyone in His Kingdom forever. My sincere condolences to Foxys family.. So sorry for your loss. I will never forget his kindness many years ago when I was going through a rough time. Heart felt condolences to Judy and all of the Fox family. Luther was a great man. I am so sorry for your loss. Many prayers to the family and loved ones. May your hearts be comforted during this time knowing that you will one day meet again. My sincere condolences. He had befriended me decades ago while training at Iron Mans gym. Such a character full of life and humor. He touched the lives of many people throughout the years including myself. He will be missed greatly. So very sorry for your loss. Luther was a crazy guy and lived life to the fullest. I know he will be missed by so many. My deepest sympathies go to Judy and the Fox boys and their families. Luther and I were best friends when we were neighbors on White Ave. I was so sorry to hear of his passing. My thoughts and prayers are with the whole Fox family. So sorry for your loss, Jeff. I know how much your dad meant to you. Our prayer is with you and your mom. Dear Judy and family, I am so sorry for your loss of Luke. I know the pain all of you are going through. I will always remember the good times we’ve shared together. Please know that all of you are in our families prayers. To Judy and family our sincere condolences.Luke and my brother Rolly were the best of buds from a very early age and was around the house a lot when they were teenagers,next they shared the love of hot old cars of which there many and many years at bay point.A lot of fond memories for me.Im sure he will be missed by everyone. My deepest sympathy to you family. Prayers for comfort and healing. I’m so sorry for your loss Judy, Craig and Jeff and the rest of the Fox family. Luther wasn’t my uncle, but that’s what I thought of him and called him. Luke was the strongest man I knew…physically and mentally. Afraid of no one and nothing. I still remember the hog roasts back in the day up at the lake as a little boy, great times! I enjoyed spending time in Fremont hanging around him. A very giving man that left a mark in my life that will always be there. Thank you Uncle Luther! We are very sorry for your loss Judy & family. We pray that the Lord will comfort you & watch over you during this very sad time. We feel very blessed and shall remember all the good times that we have enjoyed over many years having Luke and you as very special friends. Love, George & Lillie. Condolences and prayers of comfort to your entire family. So sorry Judy and family, he was a man with a big heart and a sense of humor as big! He’s in heaven keeping Terry company! Judy & family, sending prayers & comfort. Luke will be missed by so many. Our deepest sympathy to you Judy and the entire Fox Family. Remembering the good times we all had together in years past. May your memories bring you peace and we pray that the Lord will watch over you during this very difficult time.